The author and her son, taken in 2011. I can’t remember the last time I changed my son’s diaper. I can’t remember the last time I held his hand to help him walk. I can’t remember the last time he talked in baby babble and I didn’t understand. It makes me so happy to see how he’s grown into a healthy, happy six-year-old. But it also sends me into a panic, not remembering those three things. It makes my heart beat a little faster, not out of excitement but out of anxiety. He’s growing up so fast! Before I know it he might not want to be hugged and kissed anymore, just like my other friends have shared of their sons. CS Lewis said, “Isn’t it funny how day by day nothing changes, but when you look back everything is different…” I think about that now and can say that it’s very true about raising children. I remember the agonizing feeling of seeing the sun rise while trying to make my infant son sleep. The dawn reminded me of the few times I’d sneak back into the home after a night of partying. But the dawn took on a different meaning once I had a baby. At that time I just wanted the sleepless nights to end. Looking back, I wish I had handled it with more grace, that I had cherished each moment even more lovingly. Don’t blink – they grow up so fast. My son was a late speaker. At two years old, he still wasn’t speaking in complete sentences. He wasn’t even pronouncing words properly. He would rather point at objects in order to get them. Communication was limited to baby babble like “adeeeee” which didn’t mean anything in particular, but was his way of talking to us. He is six years old now and talks practically non-stop. A few weeks ago, he took an interest in babies in Mommies’ tummies. He had seen a picture of me while I was pregnant with him. I laughed out loud, holding him close to me. These innocent questions won’t last long, I know, so I’m holding on to him, to his innocent wonder, for as long as I can. Don’t blink – they grow up so fast. In the past six years I’ve been raising my son, I’ve come to learn that it’s the little moments that matter most. I remember the big trips we’ve taken, but moments that tug the heartstrings tend to be the smaller, quieter moments. With my boy, conversations when the bedroom light is turned off become whispers, but become more meaningful. Do we spend enough time with our children? I know I don’t. As a full-time office worker, everyday is a struggle between wanting to nurture him from the time he wakes up to the time he nods off to dreamland, and needing to make a living for the family. It’s a choice I’ve made, though I know I’m missing out on precious, growing-up moments. Honestly, there are times when it makes me feel I’m not a good enough mother, but I try not to wallow in this guilt. I focus on my child again instead. After all, we shouldn’t blink – they grow up so fast. There are trinkets we hold on to remind ourselves of their younger years. Their first pair of shoes perhaps, a baby book that holds strands of hair from their first haircut. Pictures from childbirth to carousel rides fill our hard drives. Facebook memories reminded me the other day that five years ago, I had a three-month-old son who we would take out for a sunbath. Those routine, everyday moments I look back on with a wistful and grateful heart. Quote from Gretchen Rubin, “The Happiness Project. Image from Pinterest. “Do you have any advice for me?,” a friend of mine asked. She was about to give birth, and we had showered her with newborn-sized diapers and clothes for her baby girl. There was practical advice like “sleep when the baby sleeps” and “eat oatmeal to help with lactation”. There was advice on how to deal with baby throw-ups, projectile poop, and the panic of checking on your baby in the middle of the night just to see if she was breathing properly. After all the panicky stories we shared, advice gradually shifted to “But enjoy every minute of it while you can!! !” “Enjoy changing diapers?,” she asked, her nose wrinkling at the thought. “YES!!!! !,” we Mom friends declared. Don’t blink – they grow up so fast. I’m on my way to work as I write this, having left for work while my son was still asleep. I know that later in the day I’ll get a picture of him on Viber from my mother. It will be a snapshot of him playing with his toys, or even a simple moment of him just looking out the window. Technology has helped us cherish the growing up moments and milestones even when we’re apart, but there’s nothing like being here, right in front of them, witnessing it for ourselves, our eyes wide open, resisting the urge to blink. Once in a while, I do the following with my son. We started when he was about four years old, when he had begun counting up to higher numbers. “Come here baby,” I’d say. He’d stand in front of me, while I’d be seated on the couch. At that level we would be looking at each other eye to eye. “Now count to thirty.” He’d begin, “1…2….3….” And I’d just look at him. I’d just gaze at him while he looks back at me, giggling a little bit, shifting his weight from one foot to another, eager to go back to play. But no, for thirty counts he is mine. I look at his face when he counts. I try to memorize the roundness of his cheeks, the naughty glint in his eyes, the button nose I can’t resist pinching. “30!! !” He’d declare when he’s done. I’d give him a hug and let him play. It started with him counting to ten a few years ago. Then 20. Then 30. Recently, we did 50. I wonder if he’ll still want to do this when he’s a teenager. I’ll keep trying. It’s one of those moments when I just look at him, trying not to blink for as long as I can, because I know when we do this same thing in a couple of months, it will be different. The same exercise, but different. Don’t blink – they grow up so fast. I can’t remember the last time I nursed him. I can’t remember the last time he used a potty chair. I can’t remember the last time I rocked him to sleep. But I know we shared those moments, and I still remember the feeling of each one. The joy of seeing him sleepily smile in satisfaction after nursing. The frustration and thrill of potty training. The love of softly singing a lullaby while I cradled him in my arms, watching his little eyes flutter and become heavy with sleep. I may not remember every moment especially when I’m old and grey, but I will always hold in my heart all the emotions around those memories – fear, sadness, but even more so, the joy and all the love, oh the love. Is what my little boy said, standing at the bottom step of the stairs, then jumping high in the air before landing on the floor on both feet. Is what he said when he raced two toy cars down a race track. Is what he said, last night, when he was showing me how to control a superhero on his iPad game. I watch each moment he asks me to watch him, trying to memorize each one, trying to hold on to the feelings of joy in each one. I watch, and I watch, and I try not blink. This post first appeared on The Philippine Online Chronicles. Wow. I find your motherhood posts very relatable even if I’m a Dad — “watch me”‘s, whispers after lights out but before snoring. My big little boy (a pet name I call him and he knows) is a month or two older than Timmy. As full-time office workers (wifey and me), we are constantly surprised of the things our little boy could do and say. We could only wonder where they learn some of these things. We also begin to notice their own personalities slowly asserting and manifesting. They do indeed grow up so fast. And I’m not sure if it was one of your posts or someone else’s, but I never forget to kiss my little boy when we arrive home even if he is already playing around in dreamland. The romantic in me believes that these kisses are never wasted and are deposited in Daddy’s lifetime love bank account in my boy. Hi Daddy Ryan, thank you for the heartwarming sharing. I’m happy it connected with you as a parent! You are also so right that personalities are beginning to shine through at this age of theirs. I’m certain you’ve said at one point or another how much he is like your wife or how much he is like you in some activities/behaviors he’s shown. I love these moments of discovery with my own son! When I wrote this post, I also had a lump in my throat and was teary-eyed. I was in the car, finishing my article, trying to hold on to the tears so I could finish it. Time really flies so fast. I get so guilty when I come home from work so very tired, too tired to play with him. I only have those few hours w/ him before he goes to bed, so no matter how heavy my body feels I try to race cars with him. It doesn’t happen all the time though! I should make more of an effort for that nightly playtime with him. Thanks for sharing that you love to kiss your son. I like how you called it “lifetime love bank account”. So true. So very true. Thanks for the wonderful share. Hugs to you, fellow parent! Topics such as these — never letting moments pass us by — always reminds me of this song : “Unphotographable” by Christian B. Although it was written for lifetime partners, portions could still apply to any type of relationship especially parent-child ones. My google kung-fu is a little bit rusty so I wasn’t able to find the lyrics in the web. However, I remembered transcribing it a few months back (not sure if I did a good job of it though). This song always brings a smile in my face as well as that all too familiar lump in my throat (just look at that bridge). This is so beautiful! The lyrics are lovely. I’ll write a blog entry around this. Thanks so much for sharing. Aaww. Such a nice read, Toni! Please hug and kiss Little Master Timmy for me. Hi Diane! *hugs hugs* Thank you! Awww, I can so relate to this post, Toni. My daughters are now 14 and 12 years old. So, I know how fast time flies when it comes to raising kids. Sometimes I wish they’re still babies. I miss those days! But then I remind myself I still have a 4-year-old son. I treasure each moment that I have with him because I know what it feels like now to watch my daughters at this age. Makes me wish he won’t ever grow up and be mommy’s little boy forever. Oh, they do grow up so fast! My youngest is so big now. I remember during his infancy months, I would wish that he grows up na so that he can outgrow his allergies (he has a lot) and skin condition (eczema). But now that he’s almost a year and a half old, I’m wishing that he stays little and needy because I don’t plan on having another baby soon! Awwww! That’s a great year! 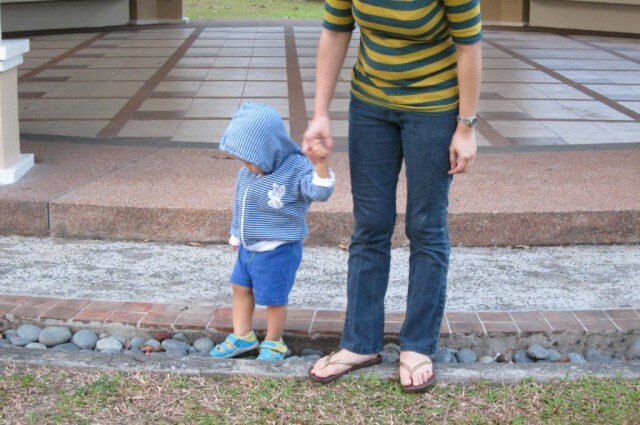 *hugs hugs hugs* I miss my son as a toddler nga eh. Heehee. 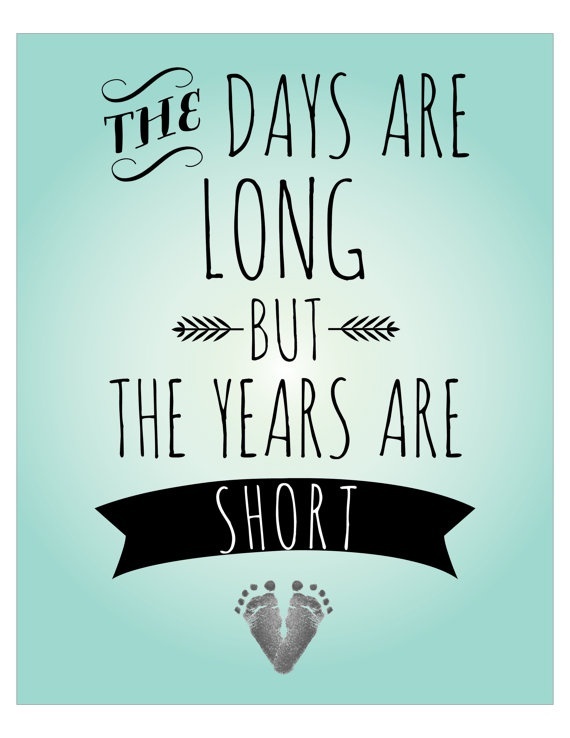 Enjoy those beautiful years! Such an endearing post, Toni. I can totally relate to what you’re saying. I can’t believe my son is 8 now. He also had a speech delay but now, he’s a chatterbox. 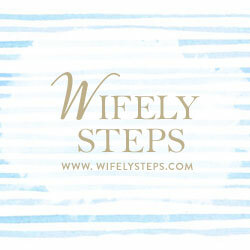 It’s easy to lose sight of things especially as a working parent. I try to be more present for my son. It’s a challenge but I know it’s worth.